If you’re getting an apartment for the first time, you really need to think about the way you’re decorating it. Many first-time renters are on a tight budget, so furniture might not be the first thing on their minds. That’s why we’re here to make the case for bean bag furniture. Fombags are an ideal way to get your décor started without spending too much money. 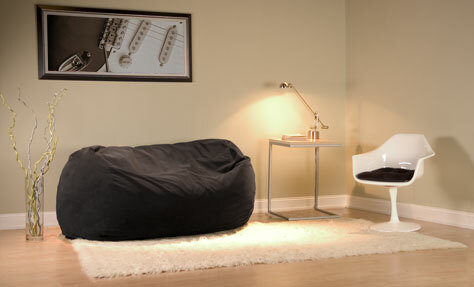 You might here some people argue that bean bag furniture is corny. That’s because they haven’t seen how chic Fombags are! Traditionally, bean bag chairs have been bright neon colors and patterns that aren’t really appropriate for a contemporary and modern décor. But Fombags come in subtle muted colors that can really serve to accent virtually any home. We have a wide selection of colors available so that you can find the perfect shade for you! The best way to make a Fombag work in your home is to ensure that it blends in with the décor. One of the things that has made bean bag furniture corny is the fact that it stands out like a sore thumb. The key to making your décor chic is to have a sense of unity. With a Fombag, you can rest assured that your home will be the epitome of class!